This week’s blog features an interview with Joan Brennan, a teacher and inventor who designs reading tools for struggling readers. We will focus our discussion on her ingenious Reading Focus Cards (Patent 7,565,759) and her Reading Focus Cards desktop application (Patent 8,360,779). Erica: Hi Joan. Can you tell us about your mission to help struggling readers? 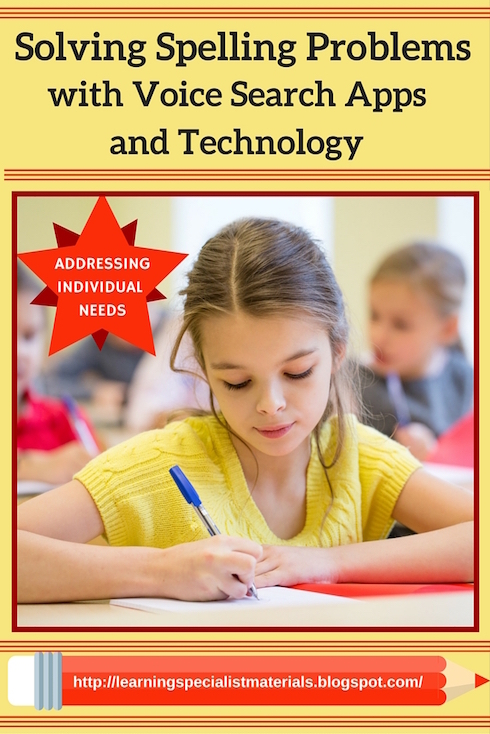 Joan: My mission and that of my company, Brennan Innovators, LLC, is to create and provide inexpensive yet helpful low-tech AND digital tools to challenged readers of all ages. In addition, as certified educators, we also present parent and educator workshops, consultation services and other professional development opportunities in the Greater St. Louis Area. We work diligently to bridge the gap between no services for challenged readers and expensive therapies, methods and other resources that are not accessible to many because of the cost or the location of such resources. We are particularly passionate about helping children, teens and adults who struggle to read. This struggle may be for a variety of reasons. As a result, since 2007, our Reading Focus Cards have helped many readers of all ages with ADHD, dyslexia, autism, low vision and other issues that can affect reading success. Erica: Why did you create the Reading Focus Cards website and products? Joan: The low-tech and sensory-appealing Reading Focus Cards (Patent 7,565,759) grew out of need in my own middle school classroom in the late 1990’s. Because a special education teacher was not on the faculty at the time, all teachers worked with all students in their individual classrooms, even children with additional needs. The “light-bulb moment” occurred some years ago during one reading class period when a student (without her medication taken that day) privately mentioned to me that she was having difficulty paying attention enough to read the requested 2 pages of a selection. To make matters worse, this was at a time when the school had just established a daily schedule that included a 90-minute block for language arts classes. So, I knew something had to be done to help this young student to focus and read with some degree of success—and immediately! That’s when the first prototype of the Reading Focus Card was born. I instinctively (and on the fly!) took an old manila folder from the top of my desk and cut a shape about the size of a 3″ X 5″ index card. With that, I then cut a narrow but long rectangle in the center of the card and gave it to the student, asking her to read each line of the two pages in front of her with that card. This immediately allowed her to focus on one line at a time and read each when she was ready to read it. The focusing card also covered much of the surrounding text that had overwhelmed her. The result? The student was amazed at the card’s ability to help her, and she asked if she could take it to her next class! Since that time, I have learned from many special education educators that they, too, have often created similar paper devices to help their students who struggled to read, only to discard it after use. During the ensuing summer vacation periods and as a result of doing a considerable amount of research, the left side of the Reading Focus Card prototype was opened (for improved tracking), colored filters were added (recommended by a developmental optometrists’ group here in St. Louis) and sensory-appealing materials were sought for the final, working prototype. Later, two independent focus studies were successfully conducted of the Reading Focus Cards (in 2007-2 6th grade classrooms and in 2011 in a high school reading specialist’s classroom). Today, thousands of these Reading Focus Cards have been sold and are in use in the U.S., Canada and around the world. They continue to help many readers who struggle with all kinds of reading challenges. Erica: Were there any key people or organizations that helped to inspire the Reading Focus Cards? a. First of all, my husband, Robert Brennan, Jr., M.D., has inspired and supported me and the idea in every way since it first “made a difference” for my reading student. He is amazing. b. My former principal, Mr. Michael Talleur, recommended that I “do something” with the first “seeds” of the idea. c. My business advisor, Mr. William Deemer, volunteer mentor in the St. Louis University Dept. of Entrepreneurship (part of the John Cook School of Business at SLU) advised and supported my efforts to bring all of my reading tools to market. Joan: My audience is GROWING daily. The majority of my audience is primarily mothers, teachers and tutors of children & adults with ADHD & dyslexia, and special needs organizations. However, in the past year, we have received many more orders and requests for services from OTs, speech & language pathologists, optometrists, autism caregivers/orgs. and stroke recovery, brain injury (TBIs) patients and their caregivers. Most recently, a local optometrist ordered a Reading Focus Card Combo Pack for her patient with Parkinson’s disease. So you can see that there is a very interesting, diverse AND increasing audience for our reading tools and services. Erica: What kind of feedback have you received about the Reading Focus Cards? Joan: Our testimonial page will provide many comments from users of the low-tech RFCs. Erica: I understand that you have also created the Reading Focus Cards App for both Mac and PC. Can you tell us more about this? Joan: This new Reading Focus Cards desktop application (Patent 8,360, 779) for Mac and PCs (desktops & laptops) was also created for challenged readers to help provide improved focus and better tracking when reading digital media. This customizable app is an extension of the low-tech Reading Focus Cards used with physical books and documents. As a result and if the app is used properly, the reader can experience better comprehension and retention as well as better focus and tracking when using this desktop app. In addition, the digital, pop-up Toolbox for the app will allow the user to adjust color, length, width and orientation of several features of the virtual Reading Focus Card to help the reader enjoy more visual comfort as well. This app can be especially helpful for persons of all ages with ADHD, dyslexia, autism, low vision, stroke or brain injury issues and other challenges that can affect reading success. The Reading Focus Cards desktop application is very innovative in that it is able to independently float over AND stay on top of underlying digital applications. It can be customized and controlled by using a mouse, touch pad, arrow keys or the reader’s fingers on a screen (where touch-screen technology is available.) Currently, Apple and Android tablets and other mobile platforms are not able to support this “disruptive” type of technology. However, we are monitoring this for possible future development. To learn more about this technology Click here. Erica: Are you presently working on any other projects to help struggling readers? Joan: We are currently collaborating with another company to create a new program with e-books, online courses and materials specifically for readers with dyslexia. In addition, another company has recently requested our new Reading Focus Cards app’s assistance in allowing challenged younger readers to more easily read its new series of e-books soon to be published. I want to thank Joan for taking the time to share all this great information with us. You can purchase the reading focus card on Amazon (also linked below) and the App on the Mac Apple Store button. You can also purchase products directly on Joan’s website and learn how to get the software for Windows PC.